In 6 days, gain an extensive knowledge and understanding of the HSC Maths Extension 1 course topics by analysing more than 150 HSC exam-style questions. Learn problem solving techniques that aren’t taught at school. Practice your new skills with hundreds of our exam questions and you’ll feel confident and ready to bring on your exams! Test your readiness with the Matrix Mock HSC Trial exam sat under exam conditions. Identify your weaknesses and receive feedback from our experienced HSC teachers and take your studies to the next level! 2-hour mock HSC Maths Ext 1 exam under exam conditions. Students’ exam papers are marked and returned with feedback. Solutions to the Mock HSC exam paper are provided. 3 hour lessons where you’ll cover the HSC syllabus thoroughly. 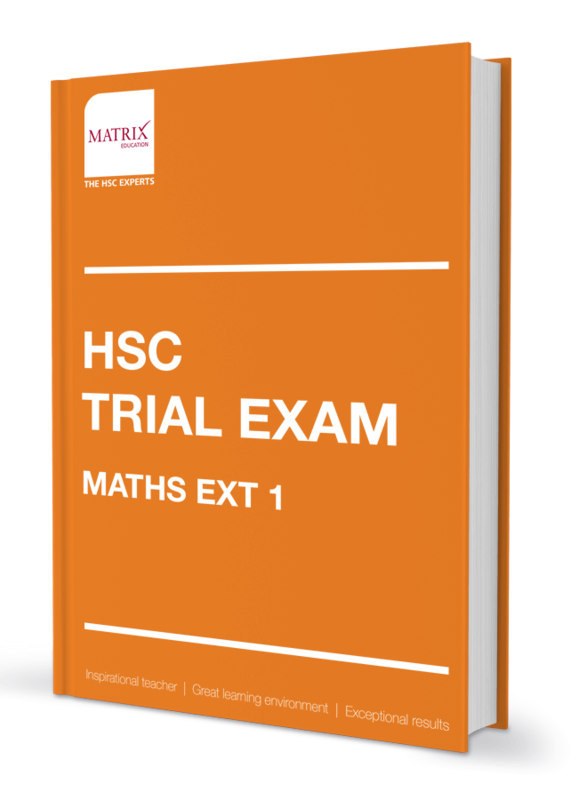 A 3 hour Mock HSC Mathematics exam that prepares you for your HSC Trial exam. Students’ exam papers are marked and returned with feedback along with a copy of solutions. Oak is the Senior Maths Coordinator at Matrix Education and has over 10 years of Mathematics teaching experience. He is also the co-author of the Matrix Mathematics program, course materials and assessments.